29 – Why There is Aluminum in Vaccines–and Why There Shouldn’t be. You’ve heard that many vaccines contain aluminum, and you may be wondering why it would be considered an appropriate or necessary ingredient in an immunization. After all, aluminum is highly toxic to the body and especially harmful to neural tissue. Why would drug manufacturers want to put it in vaccines that are being given to babies—whose rapidly developing bodies are particularly susceptible to damage from neurotoxins? The truth is, even drug manufacturers would rather not put aluminum in vaccines. It’s not used as a preservative, like thimerosal (which contains mercury), so changing the way vaccines are dispensed or stored won’t allow for its removal. Aluminum is a key ingredient in some vaccines because without it—the vaccine simply wouldn’t work. In fact, the aluminum in vaccines isn’t there despite its harmful nature, it’s there specifically because of the damage it does to human tissue! Aluminum is used as an “adjuvant,” a substance that enhances the body’s immune response. Certain vaccines do not work effectively without an added “boost,” meaning that without the addition of toxic aluminum the vaccine would not cause enough of an immune response to produce immunity to the disease being vaccinated against. Powdered aluminum, or aluminum “salts,” are added to cause a heightened reaction to the substance being injected. How does this work? The idea is to use the body’s natural immune response. Your immune system depends on white blood cells to fight pathogens. These cells engulf invaders and destroy them, and their job is to immediately rush to the site of injury or infection to fight the damage. That’s why an injured area will become red and swollen, and why infections produce painful swelling. These white blood cells can make their way all over the body, ready to spring to action at a moment’s notice. Because aluminum is so toxic, vaccines that contain aluminum adjuvant produce a fast and intense immune response. 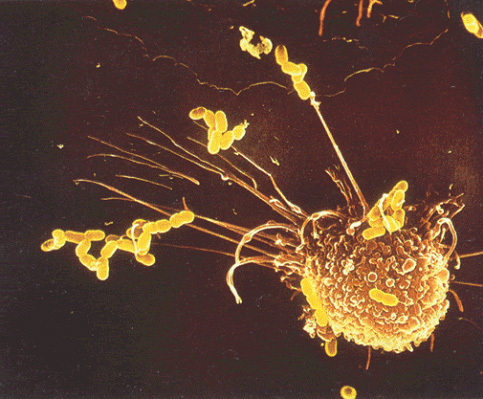 White blood cells rush to the site of the injection to protect the body from the invading toxin. As the cells swarm around the injury, they pick up both the aluminum and the other ingredients of the vaccine. They then carry both the ingredients meant to produce immunity against whatever disease the vaccine is for and the aluminum throughout the bloodstream, ensuring that the vaccine causes a large enough response to (hopefully) produce immunity. Without aluminum, the immune response would be much less intense—leaving the vaccine useless. So, aluminum adjuvant makes some vaccines more potent. But at what cost? First of all, the redness, pain, and swelling at the site of a vaccine is a symptom of your immune system’s response to being injected with a highly toxic material. The rush of white blood cells causes painful swelling throughout the surrounding tissue that can last days. Toddlers receiving the DTaP (which contains aluminum phosphate) may have their entire thigh swell up, in fact. This is considered a “normal” reaction. Besides swelling, many people experience a small hard bump at the site of the injection—one that doesn’t go away for months. This is because white blood cells have collected and caused a nodule, trying to protect the rest of the body from being exposed to aluminum. 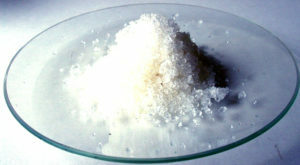 Unfortunately, the aluminum salts that have been taken in by white blood cells are able to gain access to the bloodstream. While this does transport the agents that create immunity to whatever disease the vaccine was for, it also transports the aluminum—which can piggyback on white blood cells into lymph nodes all over the body and finally all the way into the brain. 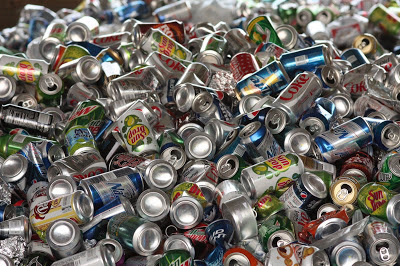 Before long, the cells carrying aluminum become progressively sicker and die, releasing the aluminum wherever they expire. Aluminum causes nerve damage and has been found in higher than average amounts in the brains of autistic and Alzheimer’s patients. 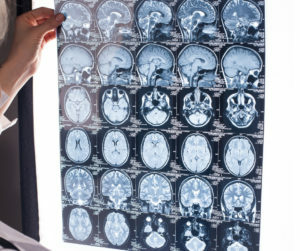 Other diseases, like ALS (Lou Gehrig disease) and Parkinson’s disease, are also thought to be related, as well as many autoimmune diseases. It also can affect cell membranes and myelin (the protective sheath around nerve cells), as well as cause arteries to stiffen—leading to cardiovascular disease. Although the toxic effects of aluminum are well known in the medical community, Merck (the company that manufactures aluminum adjuvants) has not allowed the product to be analyzed or independently safety tested. Proponents of vaccines maintain that the doses of aluminum being given to children beginning on the first day of life are safe, despite growing evidence to the contrary.